Wade Ray And The Texas Troubadours sings Take An Old Cold ’Tater and Wait on The Ernest Tubb Show. 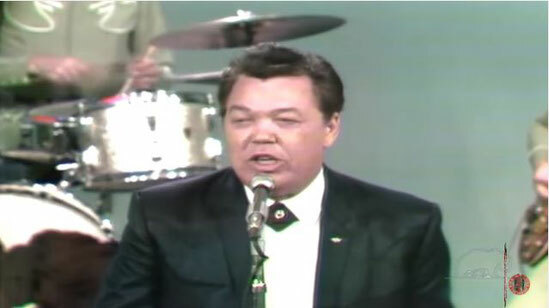 Wade Ray (April 13, 1913 in Evansville, Indiana – November 11, 1998 in Sparta, IL) was an American Western Swing fiddler and vocalist.His bands, the Wade Ray Five, Wade Ray And His Ozark Mountain Boys, etc., included musicians such as Kenneth Carllile and Curly Chalker. He retired to Sparta, Illinois in 1979 where he died in 1998. My Mama always said to me "Jim take a tater and wait." Because I always had to an old cold 'tater and wait. My Mama always said to me, "Jim, take a 'tater and wait." It makes you pretty darn weak to take an old cold 'tater and wait.